This program is part of a series that profiles the lives and careers of some of the world's greatest sports figures. 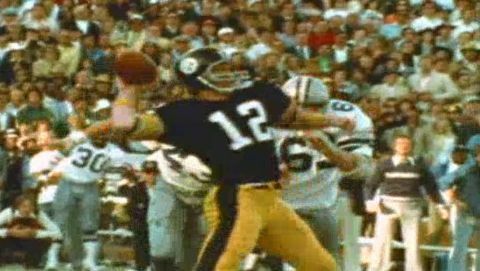 This episode, narrated by Willie Stargell, looks at the achievements of Pittsburgh Steelers quarterback Terry Bradshaw, who led his team to an unprecedented four Super Bowl victories. Archival film clips, photographs, and interviews with players and coaches tell the story of this football great.